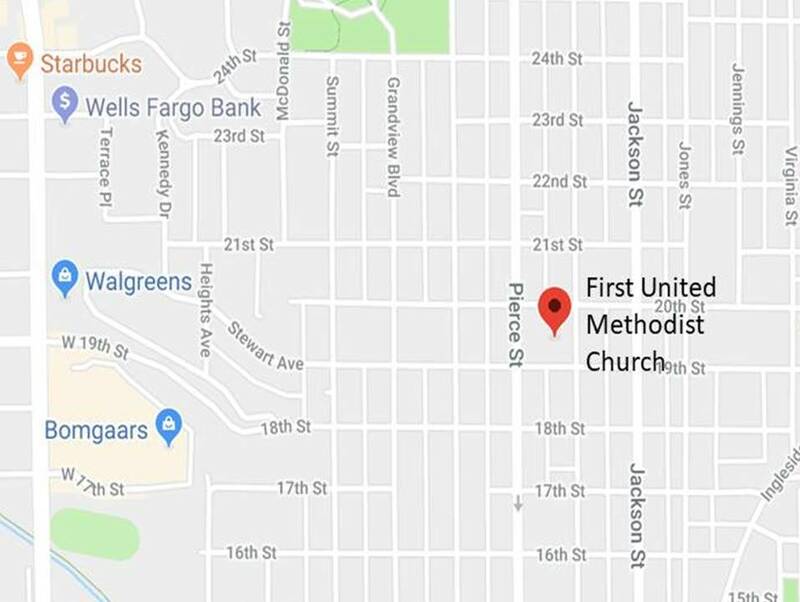 How do I get to First Church (1915 Nebraska Street in Sioux City)? Click here, or on the video below, to take a "test drive"
Easter is a time to remember the miraculous story of Jesus, and how God invites us into something better than we could have imagined! That’s why we want to invite you and your family to join us for one of Easter Sunday services at First Church! 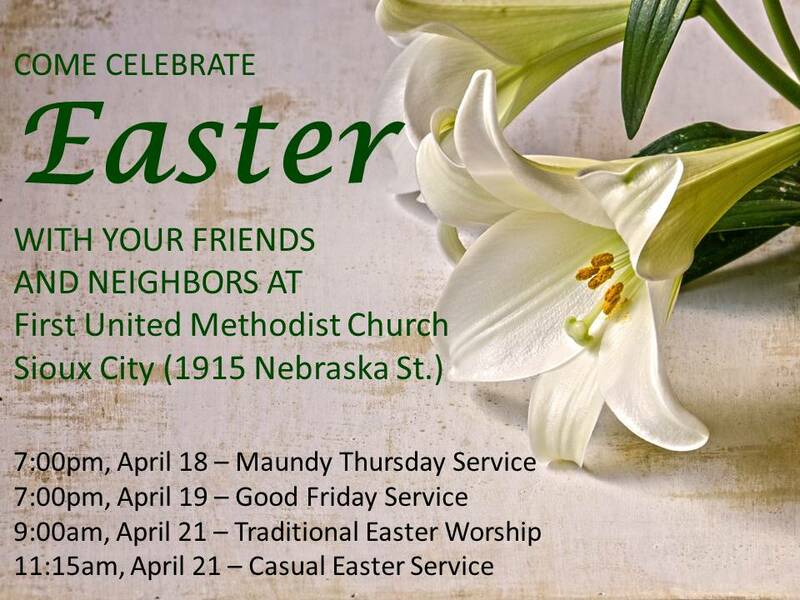 We want to invite you to join us in worship at Sioux City’s First United Methodist Church on Easter Sunday (That would be on April 21st). We are located at 19th and Nebraska, right behind Coffee Works. Whether you’ve never been to church or it’s been awhile, we think you’ll enjoy your time with us. We see ourselves as a hospital for sinners and not as a museum of saints. Often when people hear "Traditional Worship" they think "boring". Not here! 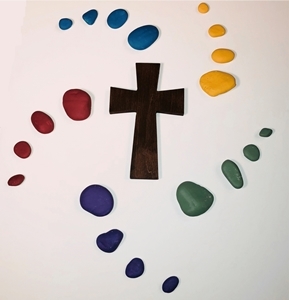 We respect the "Tradition" of worship with a joy-filled attitude as we share in a variety of hymns, take time to be in prayer, find out what’s in the “Mystery Bag” and hear a message that applies to your life, all in this beautiful sanctuary. We worship at 9:00 each Sunday morning with our organ-led Traditional worship and at 11:15 with our piano-led Casual Service. We hope to see you here, worshiping with us, this Easter! Service Times: First United Methodist Church (First Church) has two Sunday morning worship opportunities: 9:00 Traditional Worship (anywhere from 120-200 in attendance) and our 11:15 Casual Service (with an attendance of between 50-100). You do not need to be a member of our church, or any church, to attend. Our Traditional Service is a little more “formal” in attire, with some wearing their “Sunday clothes” while others prefer casual clothing and dress more informal. Our Casual Service rarely sees a suit, a tie, or a dress and has welcomed many in casual garb, even including shorts and t-shirt. We welcome people for who they are, not what they wear. Parking: Free parking is available in all our lots and there is street parking. What to Expect: If you are visiting First Church for the first time, you will experience a fresh, joyous atmosphere in the worship and in the hallways. We view each Sunday as a “Little Easter.” Our “unofficial” motto is “We are a hospital for sinners and not a museum of saints.” You can get a feel for the sermons by clicking on one of the many listed in “Audio Sermons” on this web site. Check us out on Facebook: You can get a feel for the service on our church's Facebook page (First United Methodist Church - Sioux City) which includes sermon questions before and after each Sunday, as well as our famous "Mystery Bag" videos on Facebook Live each Sunday during our 9:00 Service (and it can be accessed on Facebook after this time as well). We also share daily Prayer Prompts on our Facebook page each morning at 7am. For People with Disabilities: We have a number of handicapped parking spaces in the lot north of the church (The “Canopy Door”). We are wheelchair accessible from that Canopy Door entrance. We offer a larger than normal Handicapped / Family restroom by that same entrance. The church has an elevator for easy access to our Fellowship hall. Our sanctuary has an assisted hearing system using wireless listening aids. In addition, large print bulletins, Bibles and hymnals are available. Want to Know More about Us: Give us a call (712-258-0119) or e-mail us (scfirst@msn.com).